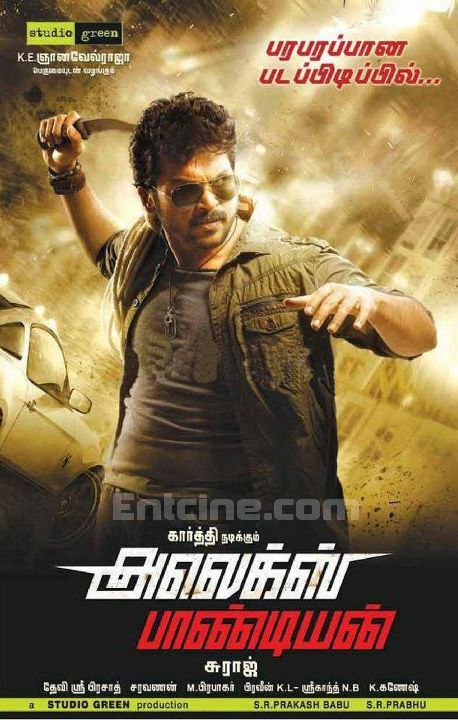 Karthi's 'Alex Pandian' is making more headlines with each passing day. The latest is that Karthi will have two baddies, Milind Soman and Suman opposite him in this commercial offering. Karthi will be seen as Alex Pandian, a name that brings back to one memories of 'Moondru Mugam', a yesteryear commercial hit of Superstar Rajinikanth where he was seen as Alex Pandian. The film is touted to have some high voltage action scenes and will be Karthi's next after his political satire, 'Saguni'. Ganesh Kumar is the stunt master of 'Alex Pandian'. A press note further states that Studio Green has shelved a huge budget for this film which will be their biggest film so far. The film is produced by Gnanavel Raja's Studio Green and has music by Devi Sri Prasad. Santhanam provides comic relief and with the coming together of director Suraj whose films' comedies are popular, Karthi and Santhanam we can be assured of some good comic sequences in 'Alex Pandian'. 0 comments for "Karthi Goes To Fight With 2 Villains In 'Alex Pandian' Movie"